A severe weather warning will continue today from the Illawarra region, through Sydney and the Hunter and onto the mid-north coast. 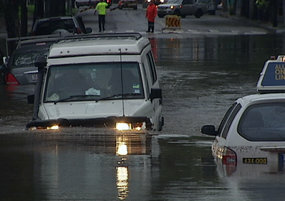 The State Emergency Service says it has had more than 300 calls for help. SES spokesman Phil Campbell says most of them have been for relatively minor issues. “The majority of these calls have been for leaking rooves as well as minor property damage caused by falling trees and branches,” Mr Campbell said. He says they are prepared for more calls today. “We have got our SES volunteers all along the New South Wales coast on standby ready to assist their communities if weather conditions continue to detioriate,” he said.